Boss Brass takes matters into his own, um� brass hands, as Moon Streak is makes quick work of his lackeys. 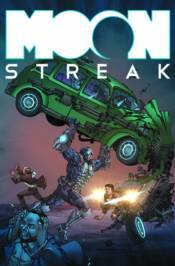 Can the old timer put Moon Streak in his place or will he be the new Big Boss of Hope City? What does V think? She thinks she might need to find a new line of work!